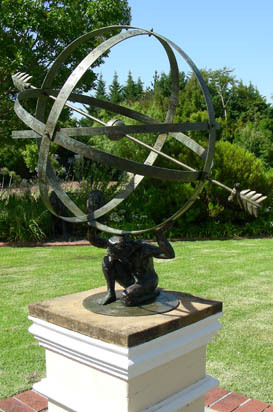 Engineering and Art meet with our range of hand crafted sundials, armillary spheres and weathervanes. Each product is unique and can be personalised to make the perfect gift. Our walk on sundial is a main feature in Cape Town's Green Point Park. Find out more by clicking the buttons below or get in touch directly.